Thanks guys for all your Kind words. Yes we are glad we made it,, but not really Looking Forward to going North. Steve (XR Valdeez) said we would have around 2000 km to go until we are out of the wind. We will see. 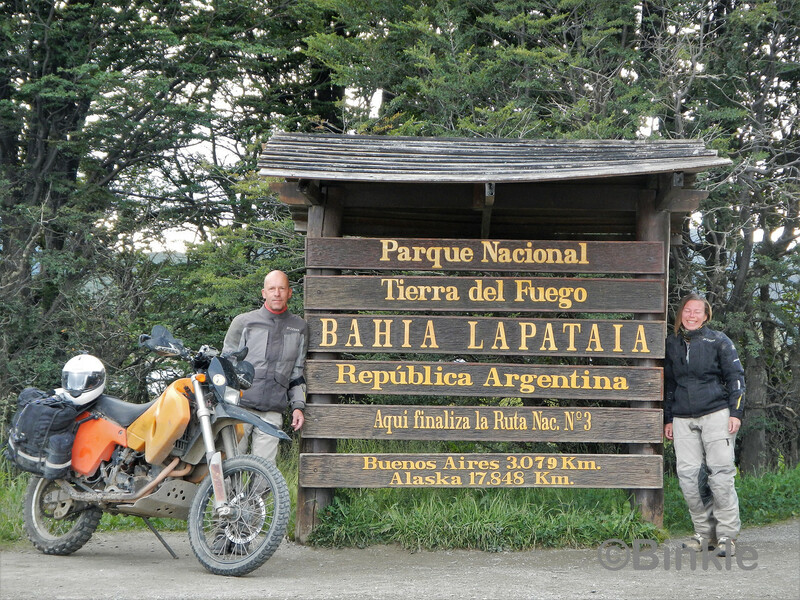 Here the final photo of our ride south. That is the "end". 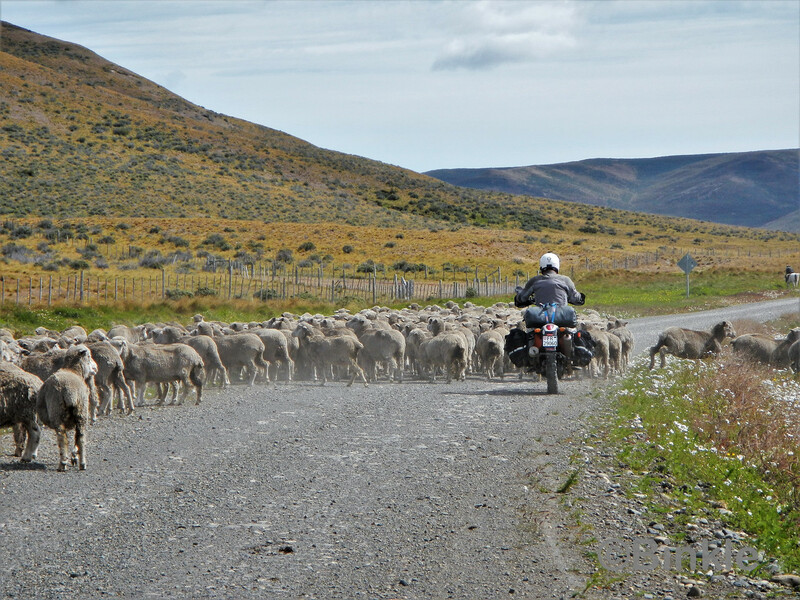 The end of Ruta 3. HiJincs, Dusty Rider, NMTrailboss and 27 others like this. Had busy days yesterday and the day before. Good and not so good days. 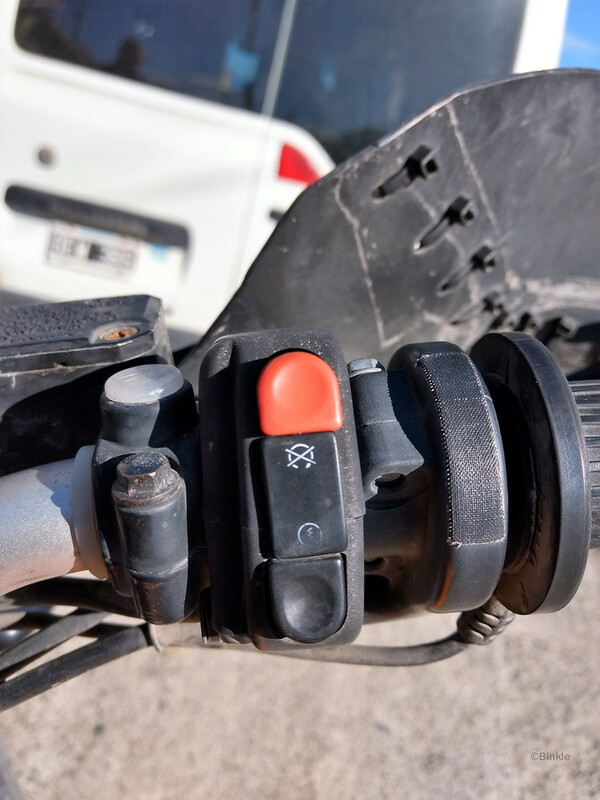 The good – a friend had brought us parts from Germany and after over 6 months and 15000 km of kicking both bikes to life (my starter clutch died shortly after Sandra´s) we have a button again. 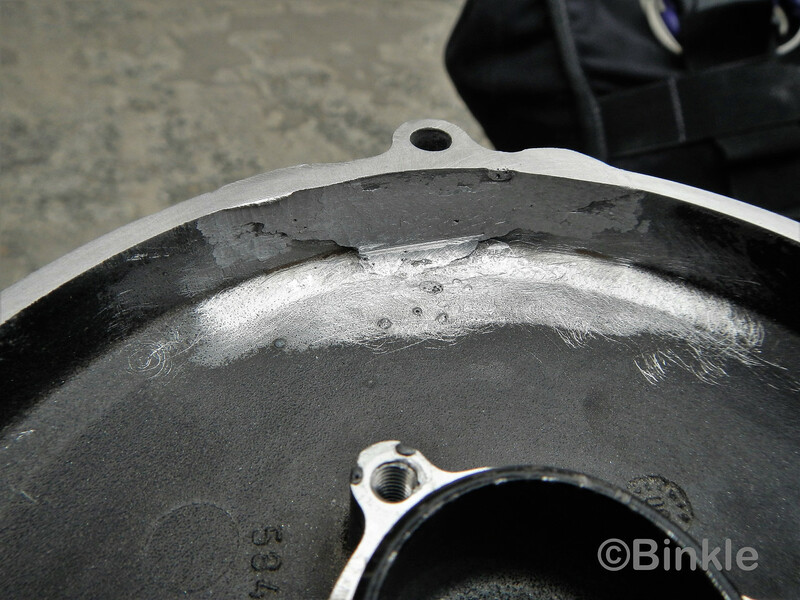 The bad – in one of Sandra´s side covers a crack appeared and was leaking oil. Somehow the cover isn´t completely straight anymore. I JB welded it inside and outside the cover and made a bracket to help keep the crack closed. At the moment it seems dry, but only after a short test ride. Tomorrow will show if it holds longer. 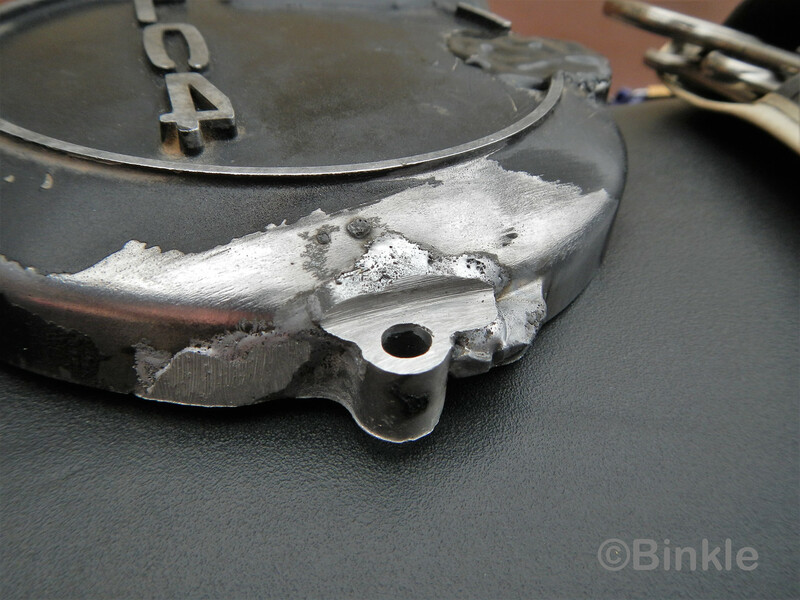 I hope the JB weld holds inside the engine as it only withstands 230°F and the oil might at some point get hotter. It was all I had and I could do. Time will tell. We need a new (or used)cover, so if anyone is coming to Buenos Aires soon or knows someone that does and is willing to bring one let me know. Would be highly appreciated. The guys who´s workshop we could use were great. They had holiday and spend the whole day with us helping where they could. 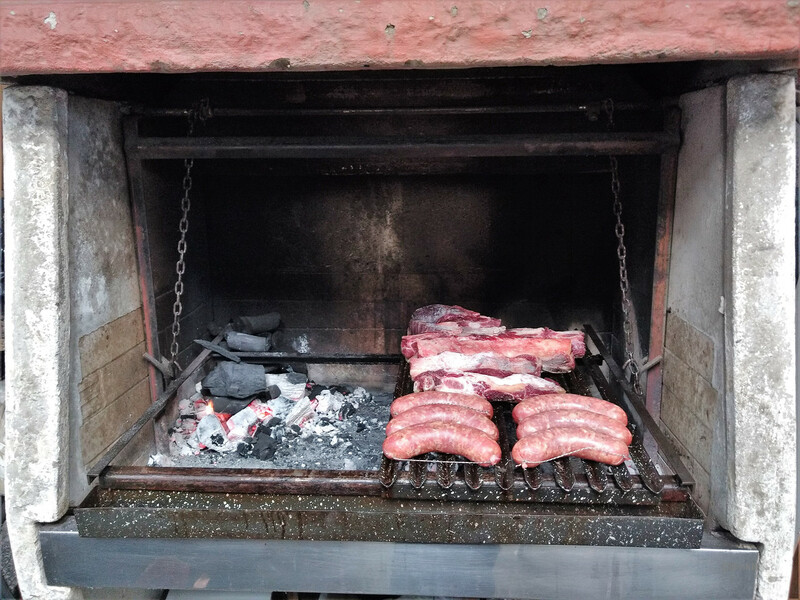 In the evening they invited us to a Argentinian BBQ in their shop where there was a big BBQ place. Great people. HiJincs, SmilinJoe, XR Valdeez and 9 others like this. 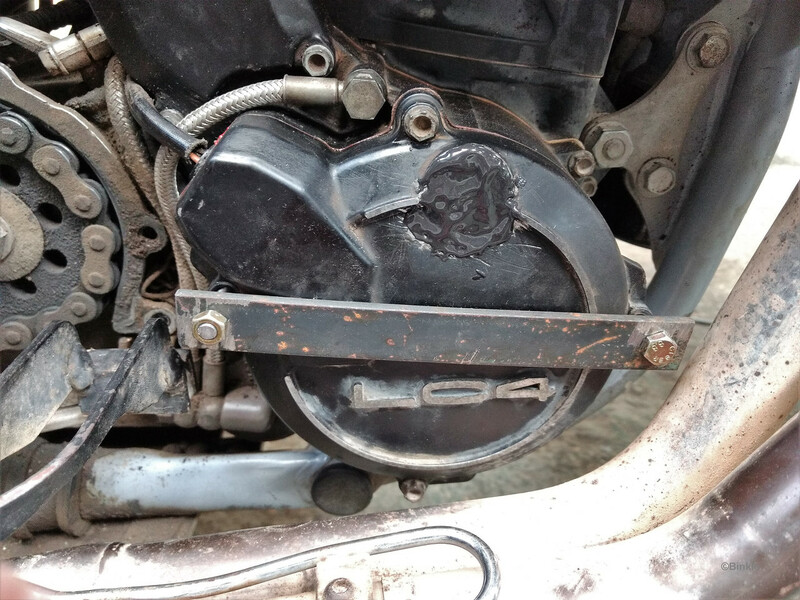 bracket on Sandra´s bike - will it work? HiJincs, SmilinJoe, Yannick and 26 others like this. 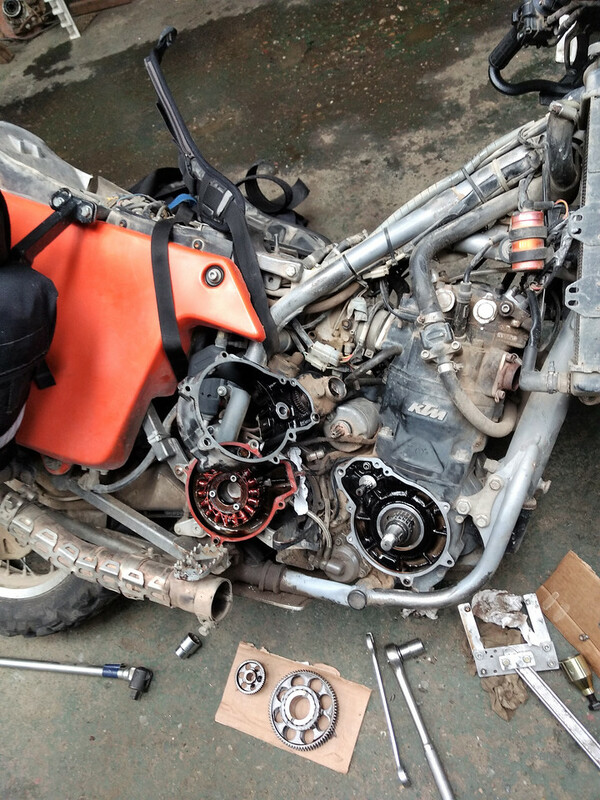 Wow, great wrenching there Thomas and nice gasket Sandra! Also a real good interview, I would never have known English is not your 1st language! skibum69 and elron like this. Thomas B. and skibum69 like this. Thanks for all the nice words. Allways good to know you guys are still out there following and it would be nice if the 640s would live forever or at least another 100000 km. Still like riding it. ElJorgio, HiJincs, TDC_ERock and 7 others like this. Yes , we are still here enjoying the reports, wondering what will be next. thanks for such a great detailed report. My 640's motor is in the shop after running about 2000 km's pushing coolant into the motor because I screwed up the water pump rebuild. We'll see how bad I messed it up. Fingers crossed because I love that bike! Wood fired BBQ, only way to cook. I like their design. OK – it was a try that didn´t work so well. 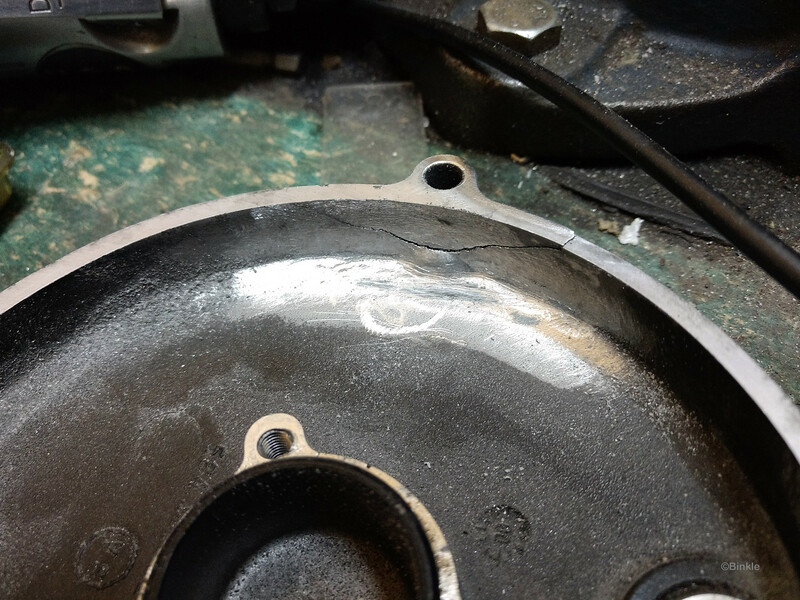 The JB weld couldn´t seal the crack permanently. Maybe applying it inside the engine wasn’t such a good idea. 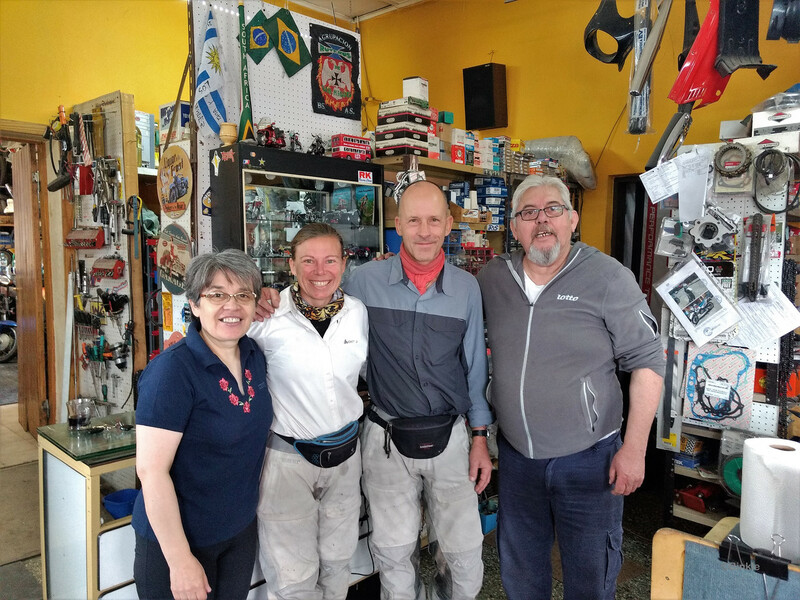 On our ride from Rio Grande to Rio Gallegos the side case on Sandra´s bike was dry for 50 km and then started to leak again. Not much, but enough to be annoying. I knew it wouldn´t get better with time so we looked for different solutions. 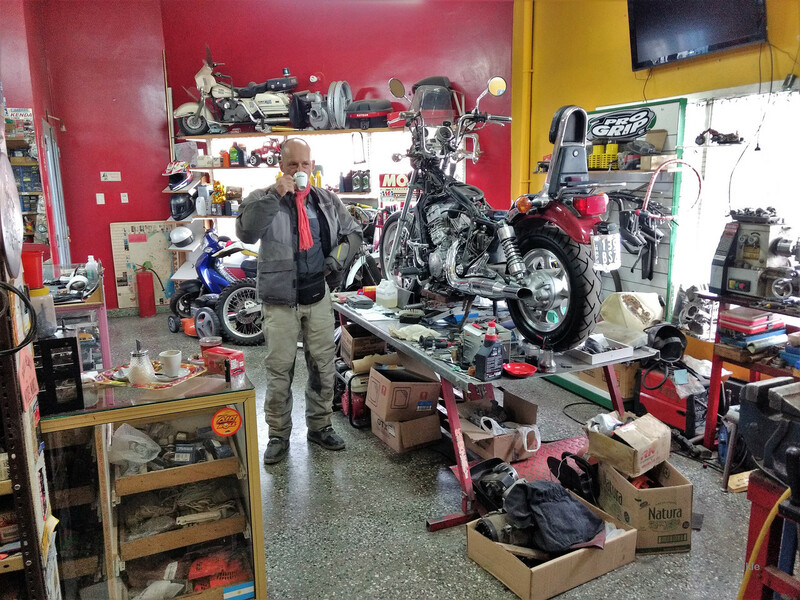 Getting a new case into the country seems to be pain Javier from Dakar Motos in BA told us and some locals we talked to all said the same. Friends coming to Brasil and Chile soon didn´t want to take the risk. I understand that. Welding would be possible, but if the welder messes up the case we are stranded so I was very careful with that. 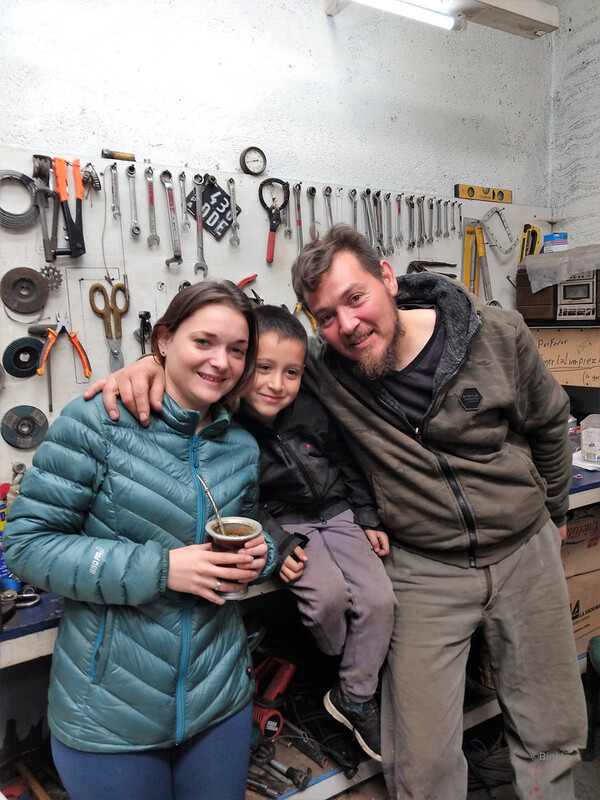 Sandra found a highly recommended guy in Rio Gallegos, that was said to know a lot about bikes and could help with many things. When we arrived there we visited him and showed him our problem. Luis looked at it and agreed that welding as the only way to fix it and he knew a guy that could probably do it. I told him about my worries to get the sealing surface straight again and he said he had a thick piece of glass to sandpaper it straight. Great. Just what you need. The next morning I took the case off the bike and we rode to Luis with my bike. 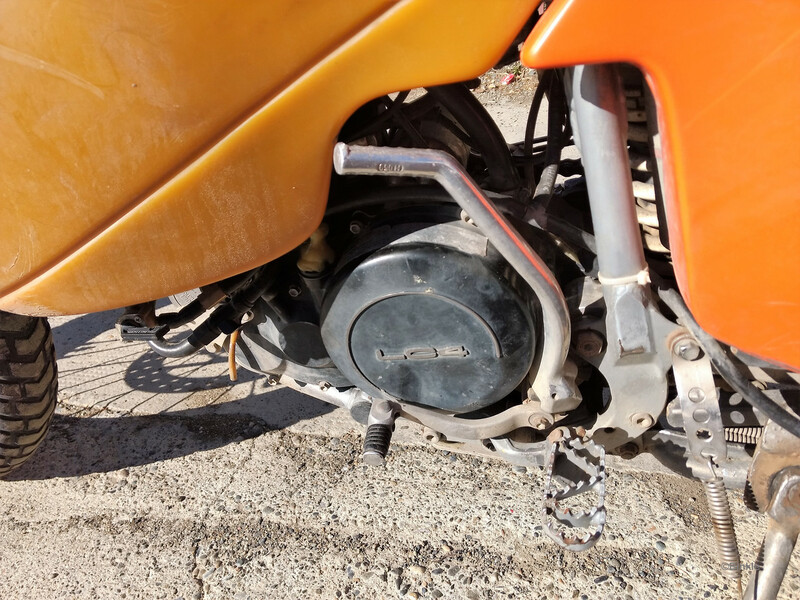 I told him I couldn´t get the housing paint off the outside and all the JB weld off the inside of the case so he went to work with a small air driven grinder and some powered steel brushes. When it was clean he took off to his welder. After some time he came back and the case looked good. I has so happy. I took a fine sandpaper and the thick glass and made the sealing surface 100 % even. 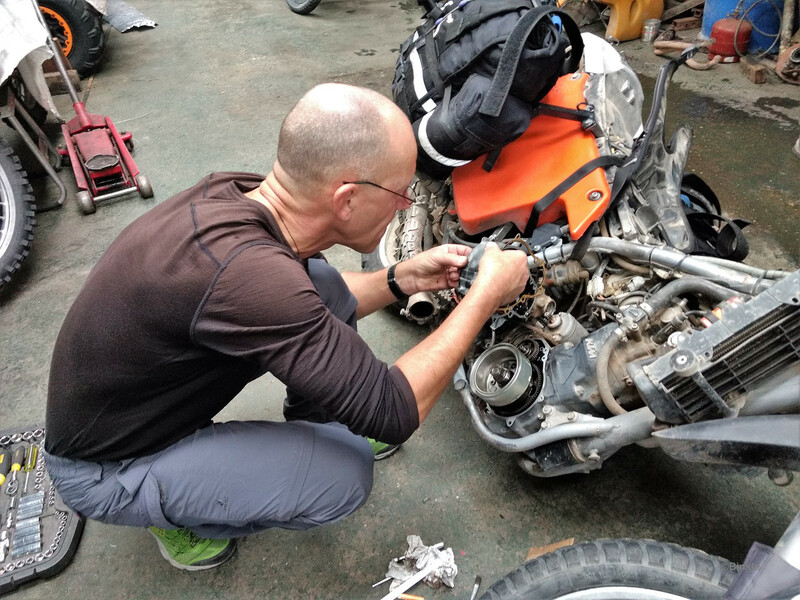 All is back together and tomorrow is the day we will see if Sandra´s bike stays dry again. 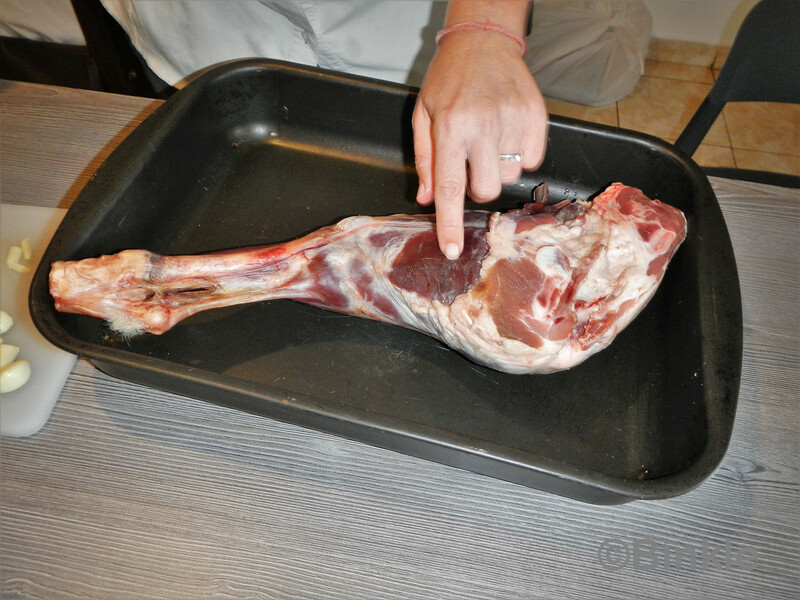 Sandra making another lamb leg in our AirBnB for some overlanders that joined us in Rio Grande. HiJincs, Dusty Rider, Bear Creek West and 24 others like this. Hope it will b good!!! Love mine too. I am probably too ate but Loctite makes a product that is wicking for sealing porosoty's. 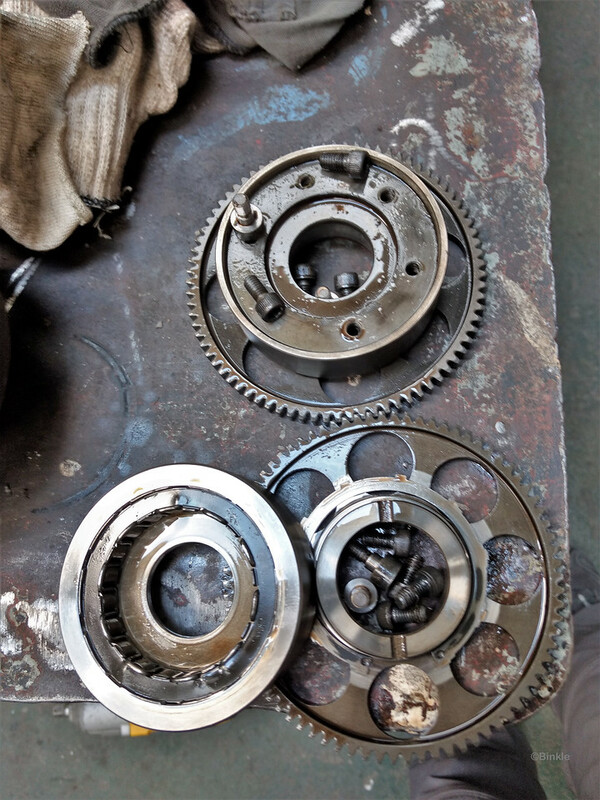 If you do not have it back together and wetted with oil and IF someone has it in hand, might be worth a go. Specific for weld and casting porosity sealing. I do not recall the number, it is green in color. If you ever come to Minnesota my shop is your shop. And I have an RV guest room. I like your loyalty to your old battle horses very much. The current repair is confidence inspiring. 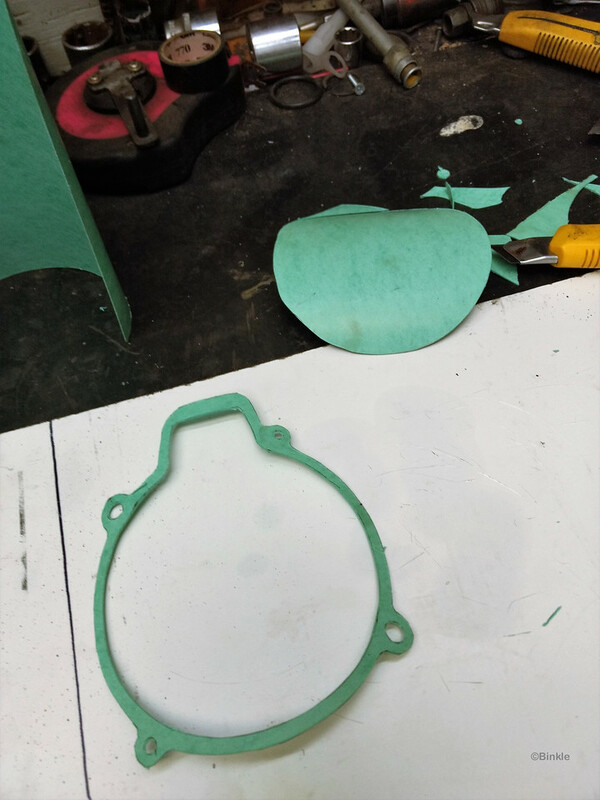 The use of sandpaper and glass plate reminds me of the times when we increased the compression of our mopeds by sandpapering the cylinder head. Yannick, NSFW and Bunyip1260 like this. Congrats on getting a good fix! Gunnerbuck has a 640 with over 200K on it so you have lots of life left to go. Looks like a good fix! That leg o lamb looks good! Miss you guys as I am back in the States! Keep up the good work and I'll keep in touch! Didn´t know of that Loctite product. Interesting. I´ll Keep it in mind. Thanks and thanks for the invitation, but that area of the world is not in the planning anytime soon, but you never know. Yeah, I love my old bikes. The more I do with them the more attached I get to them. I know of Davids bike and sure hope I´ll get to that mark too. Oh that leg was as good as the last one she made. I sure hope you´ll watch us every once in a while. 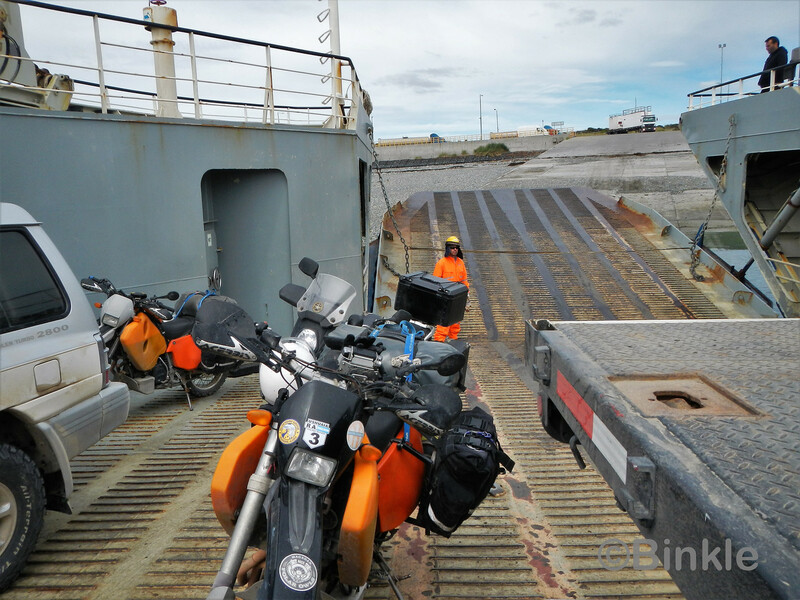 Are you going to ride to Newfoundland next? I don´t really think so, but you never know and all of a sudden I´m Standing at your front door.